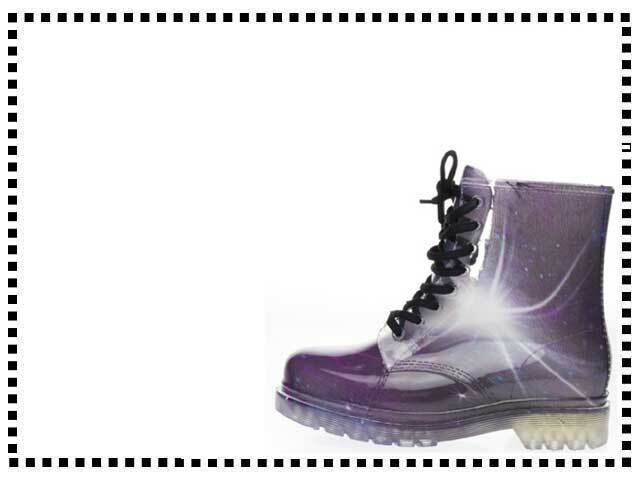 Trendy jelly rubber transparent combats with purple galaxy space print design. Available in five different colors, green, clear, yellow, black and galaxy print. I bought these rain boots in the bright green and I love them, perfect for rainy days. Love the style of these rain boots, I bought them for my daughter and she looks so cute in them. These boots run a bit small for me, I should have ordered a size up. They are cute though. I bought these jelly rubber boots for rainy days but I love them so much I wear them on sunny days as well. I need some more funky socks now. Love these compared to normal wellies. they are light and comfortable and perfect for the rain.